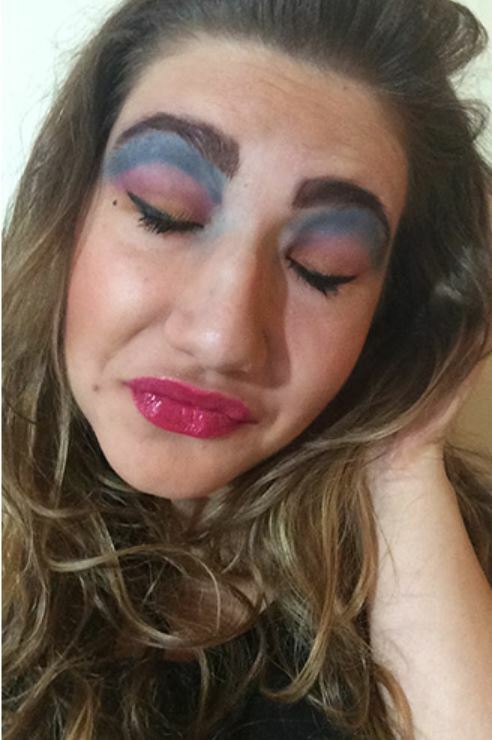 If you take anything from this, just learn to NEVER do your makeup up like this. Its not good for you OR anyone else! 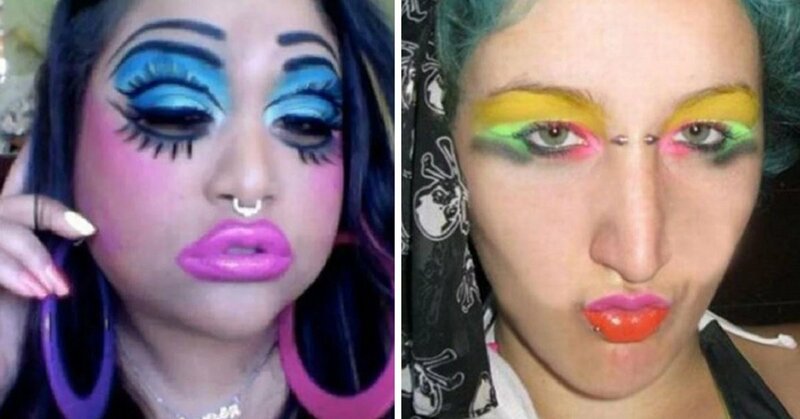 I’ve never seen different colours of lipstick on someone’s top and bottom lip, that’s…unique. Also, the eyeshadow, wow. It really makes an impact, not a good one though! This one is just intimidating. She either needs to start wearing sun cream or seriously lay off the fake tan. 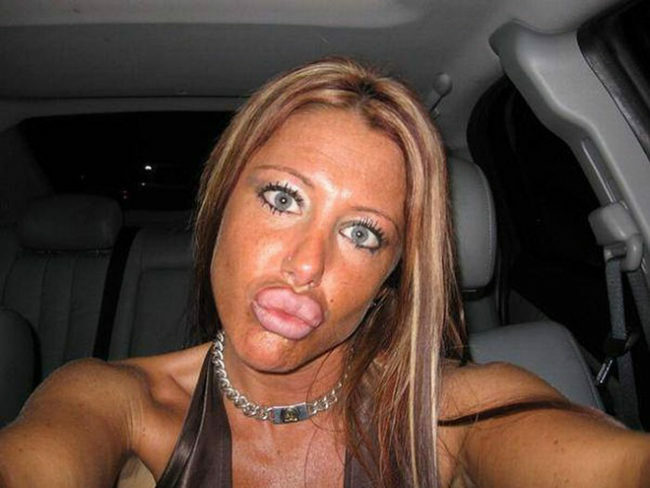 Those lips look like they have their own gravitational force. I definitely don’t feel safe looking at this picture. 4.) Is she from space? 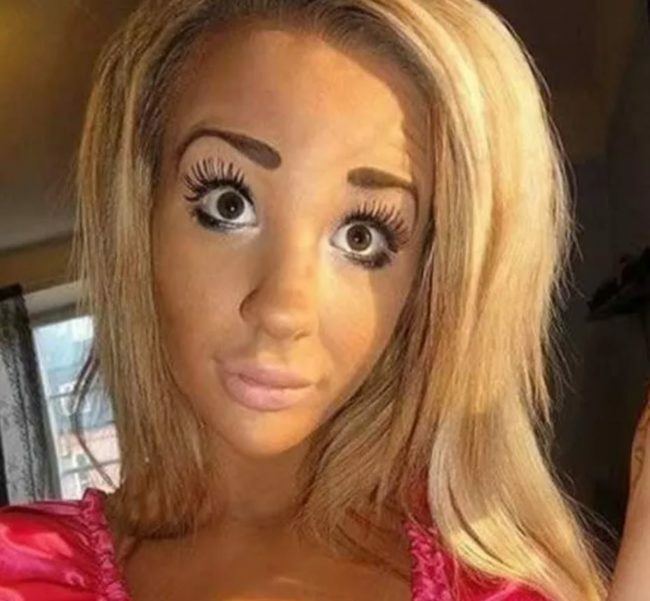 This girl has so much makeup on that she doesn’t even really look human anymore. 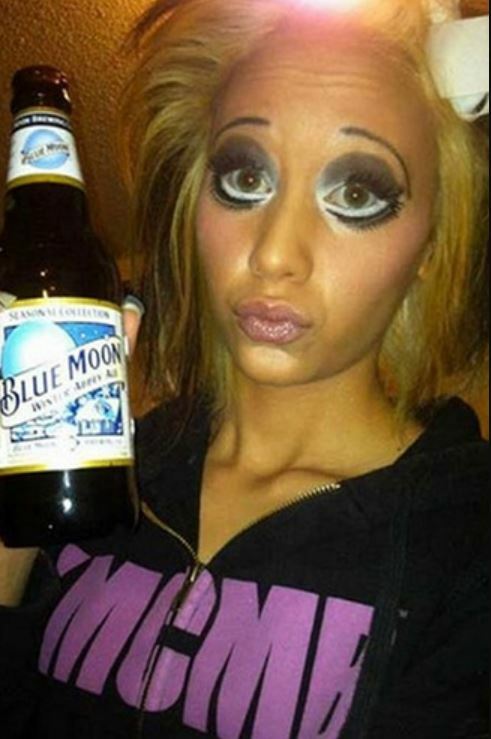 I like how she has matched her makeup colour scheme with her beer, very classy. 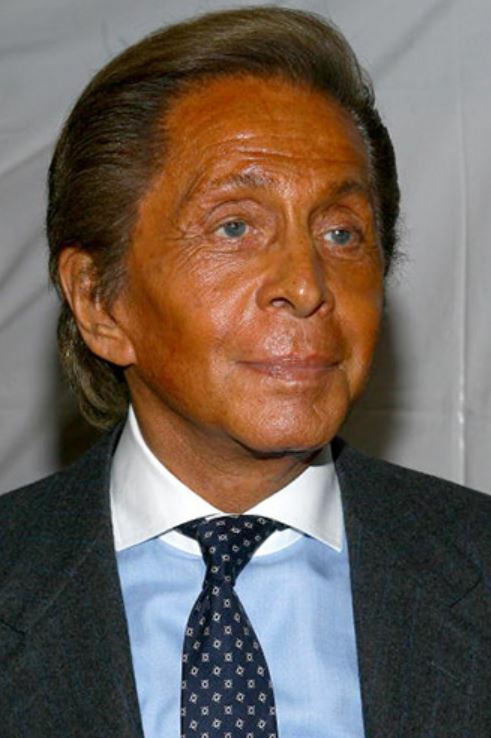 I’m not sure whether this man is real or if he’s a wax figure, that’s how weird his skin looks! 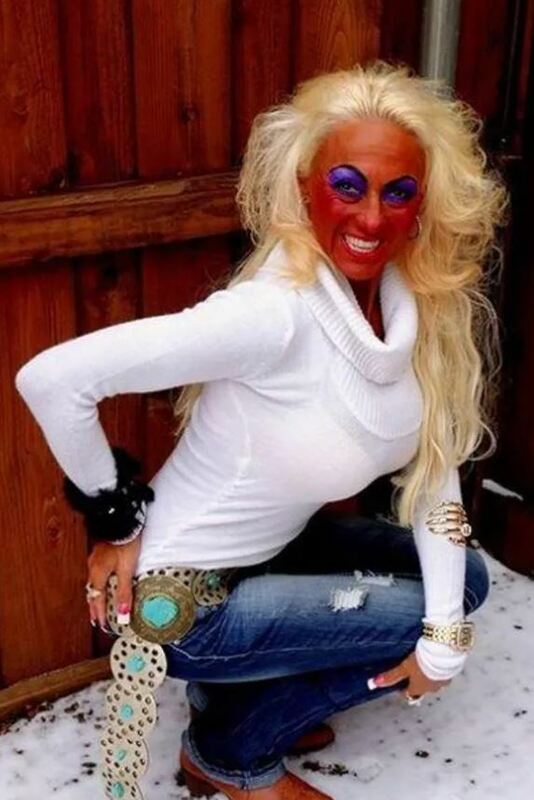 I HOPE that’s fake tan and not sunburn, I would be a little concerned otherwise. 6.) Where are her eyes?! I genuinely have no idea where this woman’s eyes have gone. I cannot tell if her eyes have closed or if she has just put on SO MUCH makeup that even her eyeballs are coated. Creepy. There are just so many colours going on here that they are clashing, BIG TIME. I’m sure she would look very pretty with much simpler and tamer makeup. However, if this is what she likes, you do you! 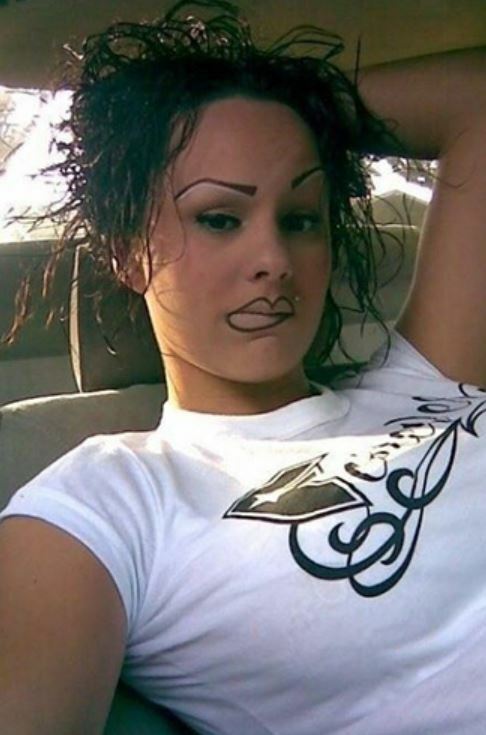 I’m really not sure what look she’s going for here. Her eyes scream emo while her lips scream regular red-carpet makeup. 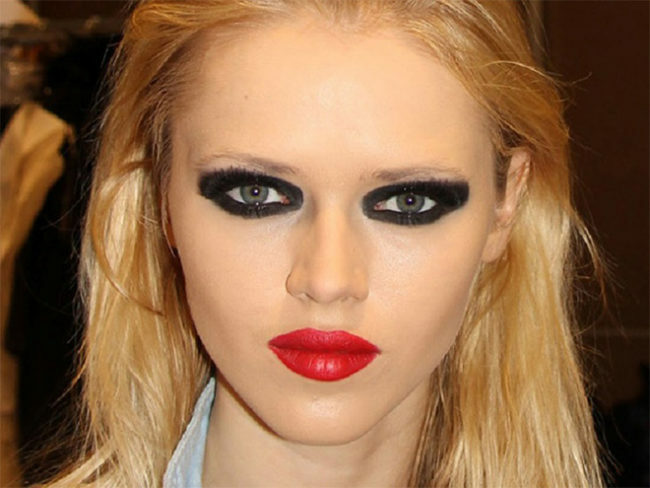 She looks like how I would have done my makeup when I was emo and that REALLY isn’t a good thing. 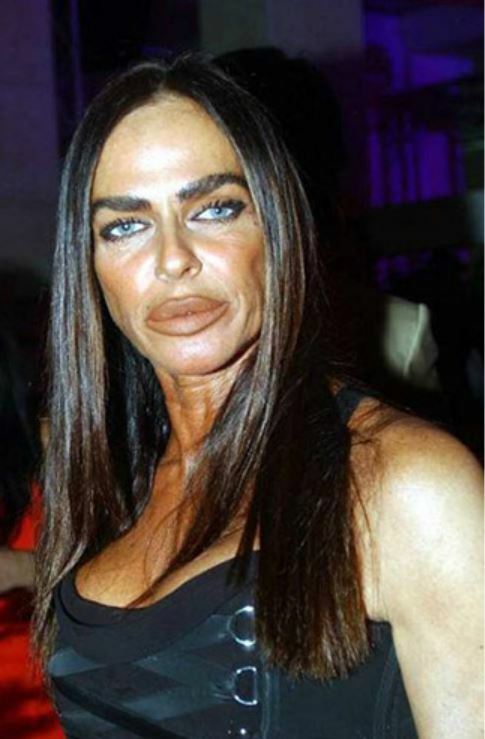 This is what too much terrible plastic surgery does to you. 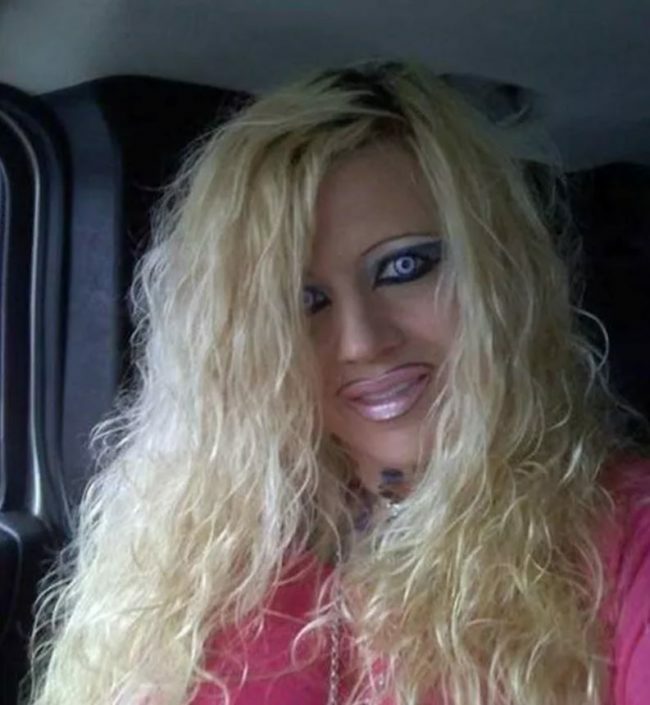 Makeup DEFINITELY cannot save this woman from looking this scary! Umm, I’m not sure what’s going on here. It looks like she’s not wearing foundation, or, if she is, it REALLY isn’t the right shade. Also, those eyelashes *shudder*. The only thing that can fix this is holy water. 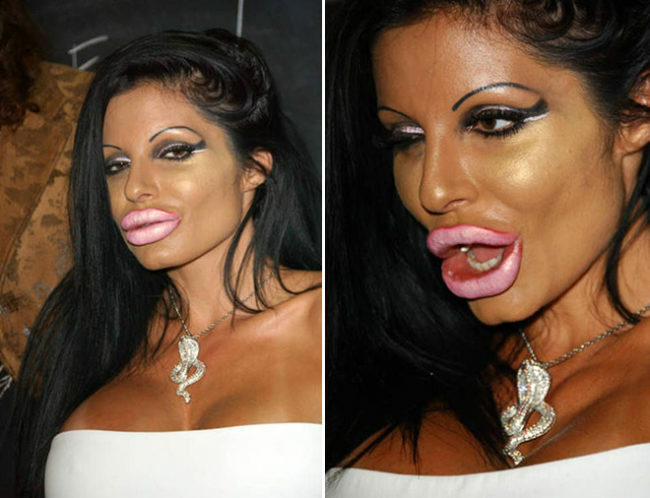 This is probably the MOST unflattering makeup and plastic surgery combination that I have EVER seen. I think I would scream if I saw her down a dark alleyway. 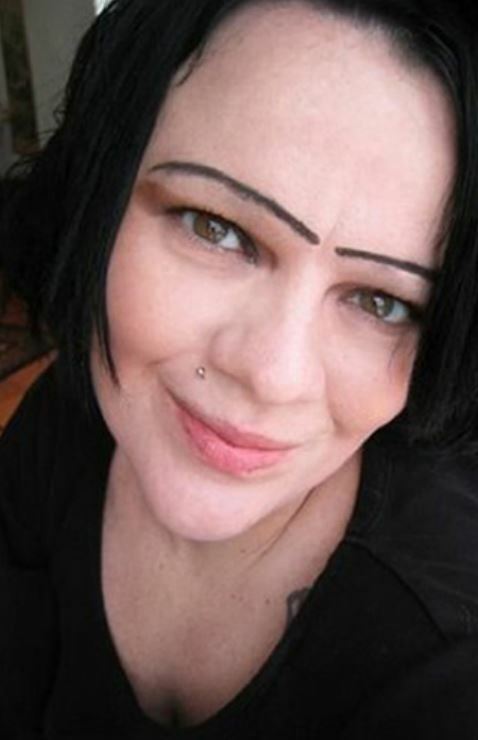 It looks like she took a sharpie and drew a straight line with a ruler across her eyebrows, leaving a TINY gap in the middle. It doesn’t look very nice. The woman looks like she means business. 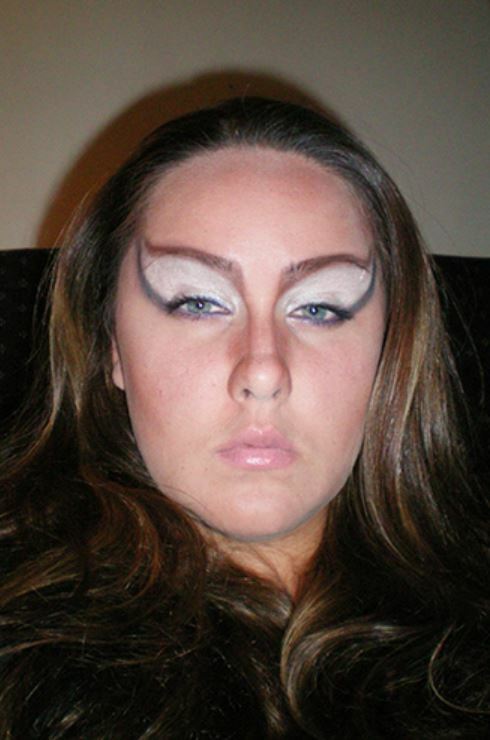 Her eye makeup looks like some kind of bird wing. 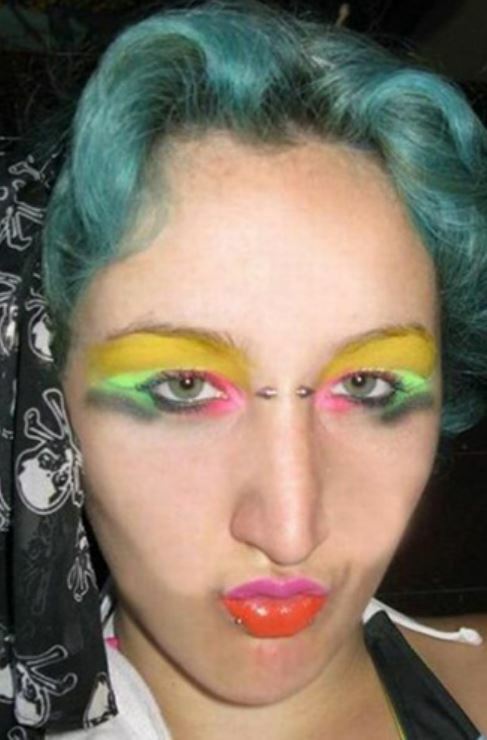 I bet she bats her eyelids and all of the birds fly over to her. This is a squad that I WOULDN’T want to get on the wrong side of. They really do look like they mean business. 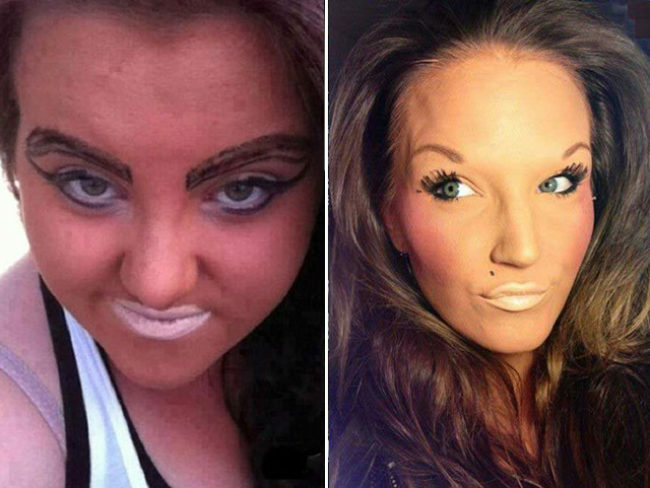 They also look ridiculous and scary thanks to their intense makeup. Her face looks a little…red. 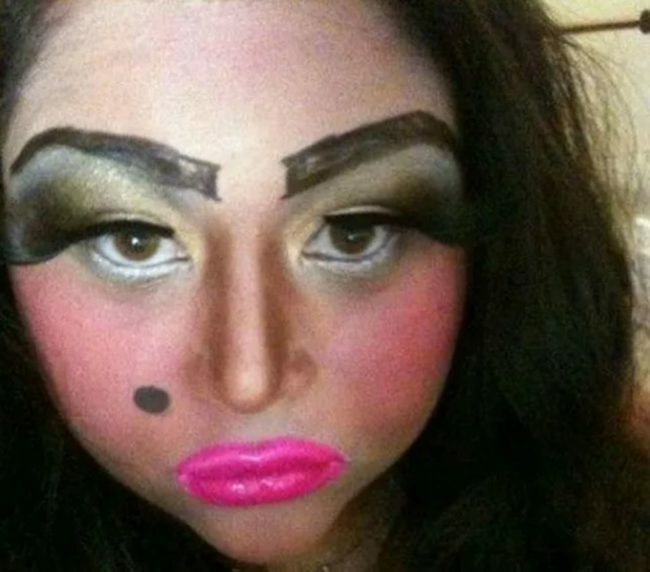 I think she might have used just a TINY bit too much blush. Also, her eye makeup looks so heavy that she probably struggles to keep her eyes open. This is the scariest selfie I have ever seen in my life and I am deeply disturbed. What is up with her eyes?! 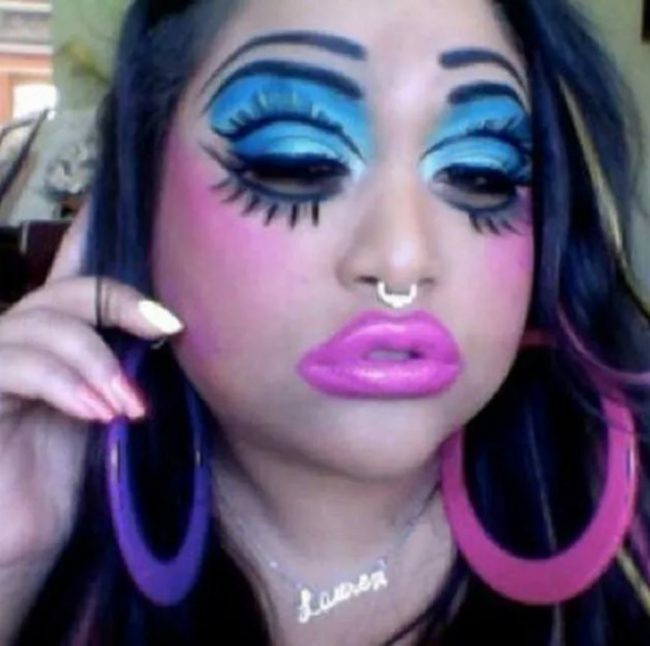 Also, that lip liner makes it look like she has a moustache…I hope that was the look she was going for? 20.) How did this happen?! 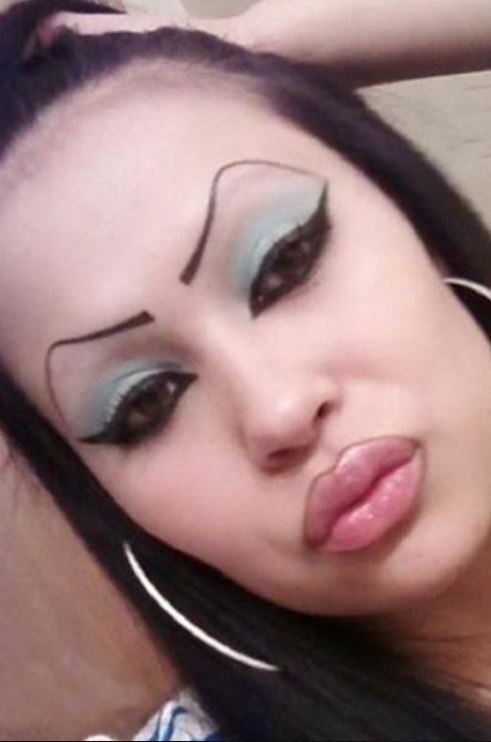 How does someone do this to themselves and actually think that they look good? I really can’t wrap my head around it. Those neon blue eyes paired with her very orange face is actually horrifying. Subtle is DEFINITELY not this woman’s middle name. She is extra in every sense of the word. I love how her fake eyelashes aren’t even on her eyes, she doesn’t play by the rules. You can never get away with ANYTHING in front of this girl, she literally sees EVERYTHING. Her eyes are so scary I actually might cry. 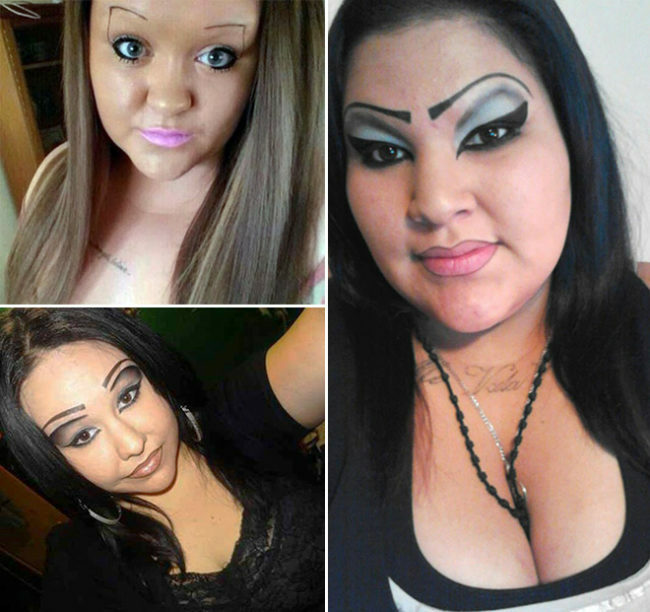 Her eyebrows also seem to be running away, they are scared too. 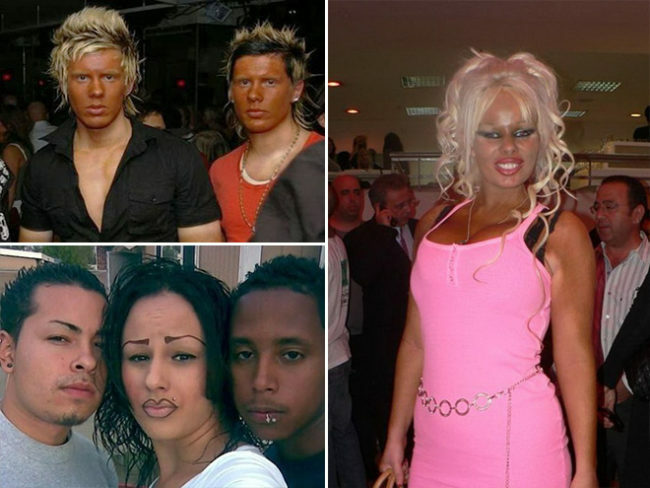 These people are going to 100% haunt my nightmares tonight, these are just things that you can’t unsee. Did you have a favourite? Let us know in the comments!